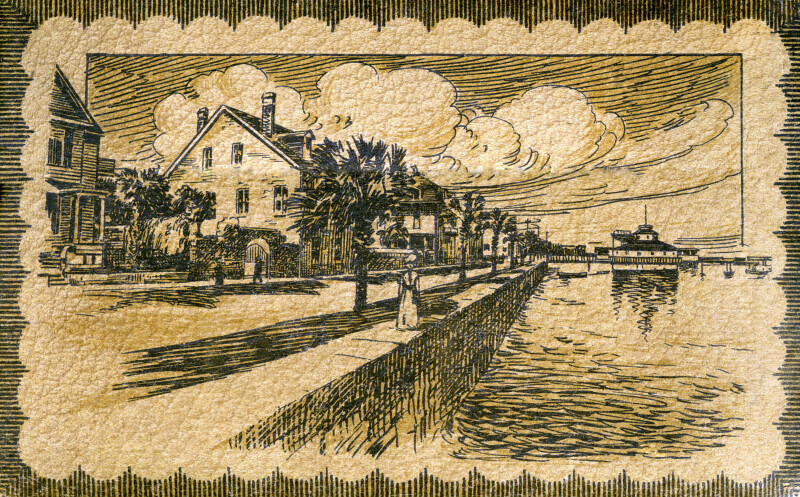 This graphic shows the seawall that runs along Bay Street. There is a woman walking along the seawall. In the distance, an octagonal building is built out over the water.